The following article was originally published in Meridian, an educational online journal published by North Carolina State University and the Media Literacy Center online journal of Canada. A high school junior is asked to write a report about the Holocaust, a topic that her class has not yet discussed. At home our student uses her computer with access to the Internet to research the topic and word processing software to construct the report. She spends an hour searching the Internet and examining a variety of web pages about the subject and selects three web sites that are particularly compelling because of the graphics and layout of the pages, indicating authority. Our young woman copies text from the pages, carefully paraphrases some, quotes others, downloads images and pastes them into the appropriate spots on her file, prints a professional looking report, and proudly turns it into the teacher two days later. She has used the Internet to explore, discover and report information about this historic event and her word processing software to craft a rather impressive looking information product. As can easily happen today, each of the web sites that our student used were published by neo-nazi and white-supremacist organizations portraying a biased point of view -- and our youngster's report becomes a reflection of this divisive perspective without the student even knowing it. This kind of scenario has many educators concerned about using of the Internet as a reliable resource for academic information. The fact is that almost anyone can now publish on the Internet, while only a few years ago, nearly everything that you read was filtered by editors and presented based at least on its economic value if not for its scholarly worth. Today, anyone with an axe to grind can do so over the Internet and with a look of authority. At the same time the Internet is increasingly becoming the first and preferred source of information for many of us. In response to this concern and the scenario above, I believe that the presence of inaccurate and biased information on the Internet is not our primary problem. The information and points of view have not really changed, it is the tools that have changed. Today, our students use professional and sophisticated information tools and global electronic networks to complete their assignments while most of us used pencil and paper and the information resources that existed in our school library. While we did our work with what could be compared to a $12 box of Lincoln Logs, students today have at their disposal professional tools and virtually limitless materials, as if they have an entire Builder's Supply warehouse to work from. While we assembled our reports with children's building blocks, today's students can craft their information products with word processors, enrich them with multimedia mined from the Internet, and empower them with hypertext. Their work can be compelling and it can be published to a global community. The real problem with the scenario above is the assignment. The problem is that we are still, by and large, giving Lincoln Log assignments -- "Write a report about the Holocaust." These advanced and powerful capabilities that are increasingly available to our students beg for a different kind of assignment. Writing a report about something has as its goal the demonstration of gained knowledge. Yet gaining knowledge becomes only a small part of what students should be learning to prepare them for a world where knowledge changes and information grows at dizzying speeds. In fact, in the information world, their jobs will be to help in growing knowledge by becoming information builders. From the perspective of the builder, our students have aisles of information processing tools to choose from and an Internet warehouse from which to choose building materials. The difference is that the builder, in the middle of Builder's Supply, has a task or project in mind, something that he or she plans to build for the enjoyment and convenience of thers. Our builder has a goal behind his or her selections of tools, lumber, and nails. Likewise, as students browse through the Internet, looking for information raw materials, they to should have goals for their work. 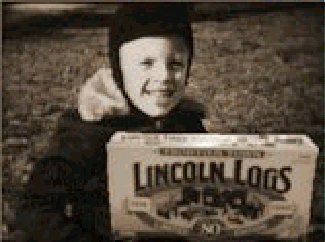 The difference between "Lincoln Log" assignments and what students should be doing today, is that our young high school junior should have had a goal for her report beyond that of just earning a grade. Because she can produce such impressive work and it can potentially be published for others to see and use, her goal should be behavioral. Students should be building their information products to affect impressions, decisions, beliefs, support or defeat positions, or create new knowledge. Goals-based projects provide a context for the student's work that is authentic. They are collecting, synthesizing, processing, assembling and expressing information for a reason that is real and beyond the pursuit of just a grade. Students are less likely to simply copy and paste large chunks of text as they would if they were writing about something. They will find and copy smaller chunks of information and then carefully assemble them to produce information products that are designed to accomplish something. They will also provide mortar between these building blocks to hold them together and lend them relevance to the expressed goal. Goals-based assignments also lend themselves especially well to the use of rubrics. The student's goals can become part of the rubric's goals, with teacher or student defined benchmarks. Goals-Based Evaluation What do goals-based assignments have to do with evaluating Internet resources? Let's return to the builder's analogy. One of the many things that my father taught me is that when you are building something in the workshop, the number one key to success is using the appropriate tools and materials. 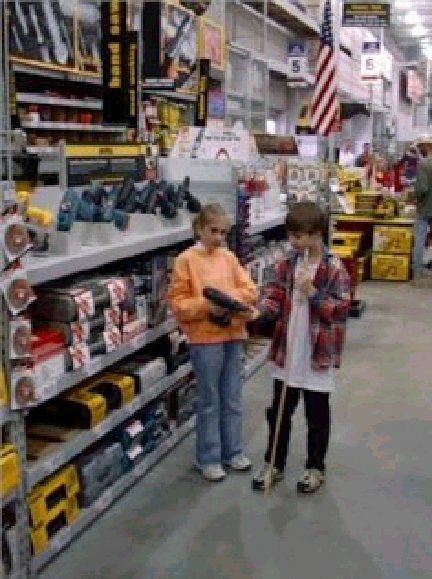 Walk into any "Builder's Supply," and you have a virtual Internet of tools and building materials available to you. As you examine them individually, they are not judged as good or bad, but simply appropriate or inappropriate for specific building projects. Our task, as the shopper, is to select the tools and materials that are appropriate to our goals. Traditionally, Internet resources have been evaluated from the perspective of the information itself and it's source. This usually involves some type of checklist that puts all Internet information through the same sieve, evaluating each based on the same criteria. Here is part a checklist that I developed several months ago after reviewing some of the many evaluation forms available on the Internet. It is implied that if you end up with a sufficient number of "Yes" checks, then the information is good and you use it. If not, then the information is bad and you never use it. Some of these evaluation forms can be quite long and picky, asking researchers to check spelling and grammar. But the result is the same. The resources is either stamped "Good" or "Bad," and this approval has little to do with the work that the student is doing. As students' information products should be based on teacher or student established goals, evaluating the material that they consider using in their products should also be goals-oriented. Rather than judging the material based solely on itself via an examination instrument that has nothing to do with the students work, it should be judged from the perspective of what the student wants to accomplish. From this standpoint, we would not ask, "Is the author qualified? ", but, "What aspects of the author's background help me accomplish my goal?" Under certain circumstances, a web page published by a neo-nazi organization might actually be appropriate for an assignment, while other resources, produced by people with credential would not. It depends on what the student wants to accomplish. This approach actually serves three interesting purposes. The student is focused on drawing supporting or appropriate information into the project rather than just filtering "bad" information out. The student gathers information about the information. As students approaches information with their goals to accomplish, they are less likely to be influenced by the goals of those who generated and published the information, which has interesting implications for media literacy. ". This plus a standard citation placed at the bottom of the page or in the bibliography alone is sufficient to render the information fact. This more elaborate explanation of the information's source lends it credibility when a mere URL would not. Therefore, part of the evaluation process should be to identify and collect this sort of supporting information about the information, as justification. 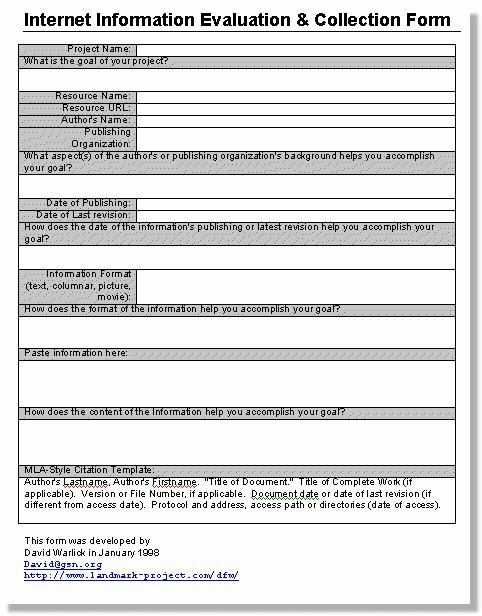 Internet Evaluation Form The form below has been created to help students evaluate Internet resources based on the goal(s) of their work. It begins with a statement of the student's goals, and then follows through with the collection of specific information with explanations of how the information supports the resource in terms of the student's goals. Another assumption provides an additional basis for this form. As students are researching the Internet, we might safely assume that they are using a computer. Therefore, they should also be using a computer-based form for their evaluation and collection of information. This form is designed to be used as a computer file. The student will come to the computer with a disk, and will complete the form by typing their information into the appropriate spaces or by copying and pasting the information with the Edit menu. The form that follows is available in three formats, Microsoft Word97 for Windows, Rich Text Format (RTF) for importing into other word processors and operating systems, and text for computers will limited memory where only NotePad or SimpleText can be run along with the browser. Click specific sections of the form image below to learn their functions. You can also see the entire description as a single page. You can also download an MSWord version of the file. This form is now available as a web form. The researcher completes the form on the web and then presses the submit button. A web page is then generated that displays all of the information entered by the researcher. It also e-mails to you a digital version of the information. Conclusion The Industrial Age has resulted in a glut of manufactured products that find their way onto our store shelves, mail order catalogs, and into our homes. We see them and purchase them because they have value to us in some way. When I took shop in 1966, we learned the skill of producing items of wood and steel, but the items that we produced had value to us or to family members. They were built to be used. In the Information Age, information will be the commodity. Our world will be rich with it, and information will compete with other information to be used in ways not dissimilar to the competition among automobiles and washing machines. Therefore, in the same way that the chess boards, and book shelves that we built in shop had goals of value that created context for the skills we were learning, the information products that students create today should also have goals of value and lend context to their learning. A statement that the students' work will be available over the Internet where it can be used by people. A behavioral goal for the students' work, how the readers of their work will be affected. An understanding among students that the readers of their work are not limited to those people in the classroom, and therefore the readers will not have the benefit of that environment. Therefore, their work should communicate itself clearly, completely, and independently, assuming that the reader knows nothing of the topic. An understanding among students that the resources they select for their information product must support their goals. receive feedback from that audience.